Photo courtesy of Heather Kubitskey. Downtown New Boston was booming over the weekend thanks to the 67th annual St. Stephen Polish Festival. 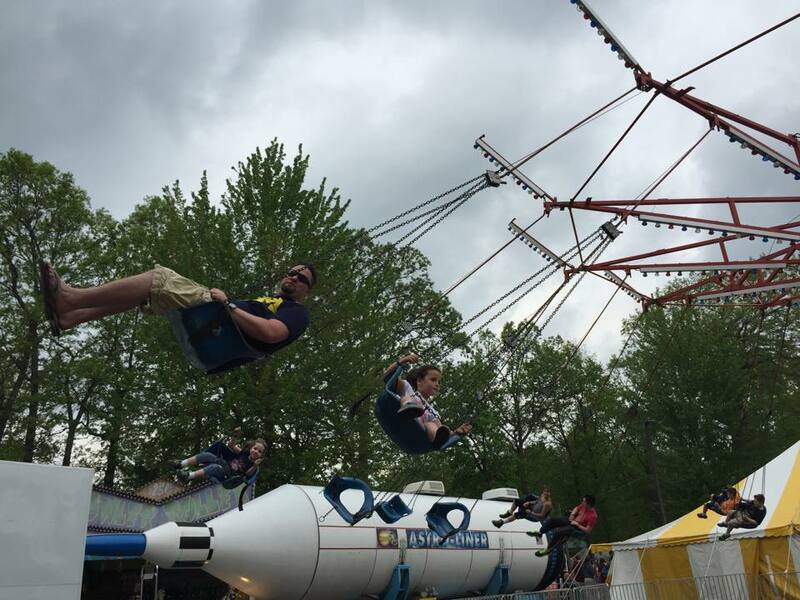 Hundreds of festival goers of all ages enjoyed a warm, and sometimes rainy, spring weekend on the campus of St. Stephen Catholic Church while enjoying their favorite carnival rides, sweet treats, kielbasa or pierogi. Friday and Saturday evening provided entertainment on a packed dance floor, with patrons enjoying their favorite adult beverage while jamming out to, among others, popular tribute band 50 Amp Fuse. Special thanks to the multiple sources who shared their photos of the festival with The Huron Hub. This entry was posted in Community, Events, Front Page News on May 19, 2015 by Scott Bolthouse. Thank you so much for the great advertising and follow-up pictures.